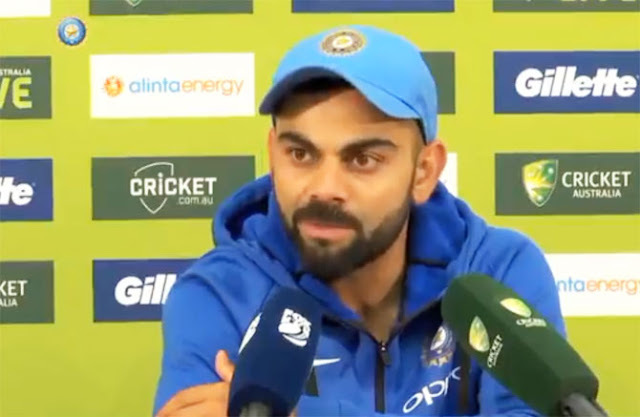 India captain Virat Kohli on Friday praised the team after the historic 2-1 ODI series win and also revealed why he played leggie Yuzvendra Chahal in the series decider in Melbourne. "It wasn't a great wicket to bat on, so we had to take it deep, but they were professional in getting the job done," he said. "Kedar with bat and ball is always handy. Kuldeep had played a few games, so you don't want to make things too predictable. So we brought on Yuzvendra Chahal, and he played beautifully." "It's been an amazing tour for us. We drew the T20 series, won the Test and the ODI series. We are feeling confident and balanced as a side with the World Cup in mind," he said.